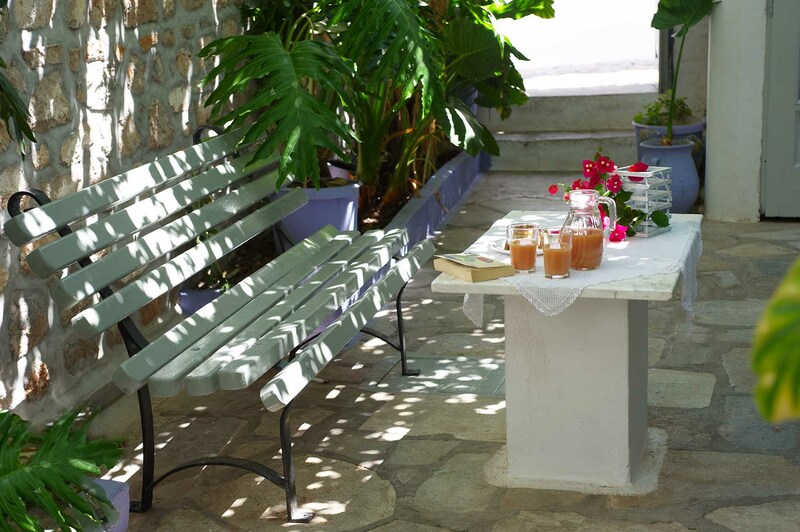 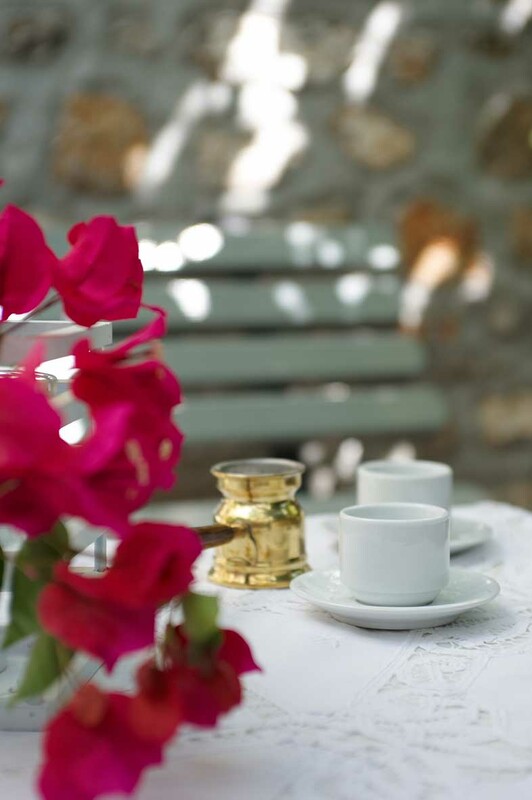 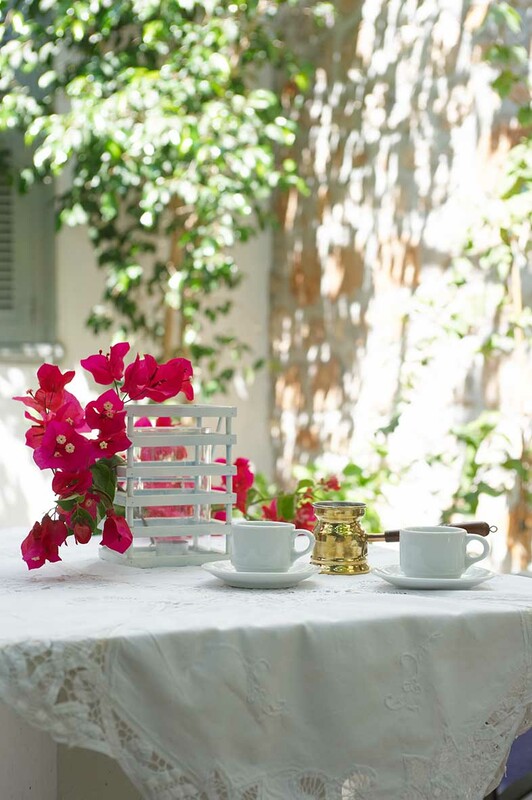 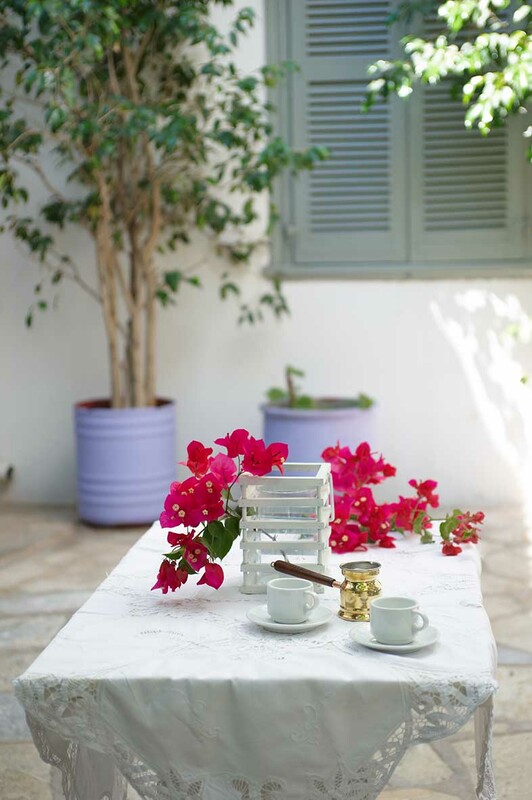 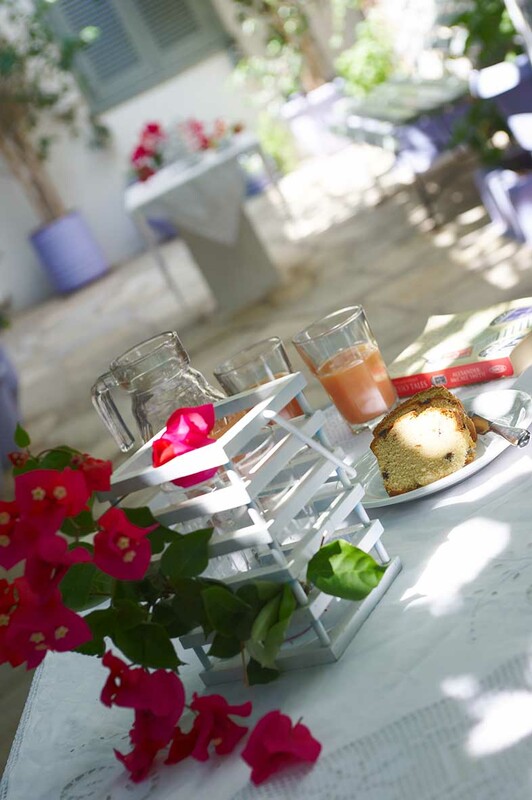 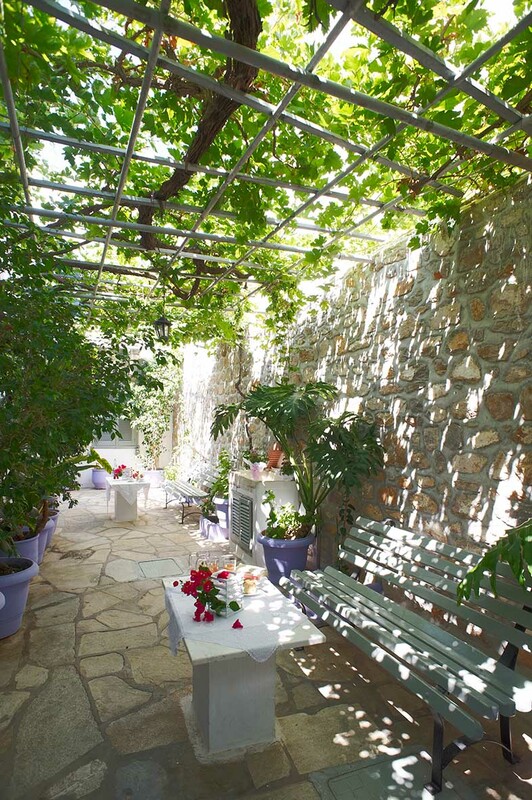 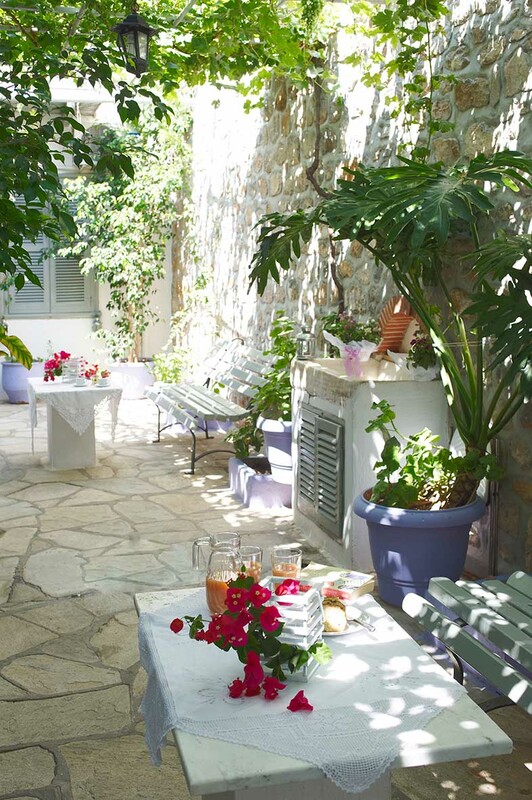 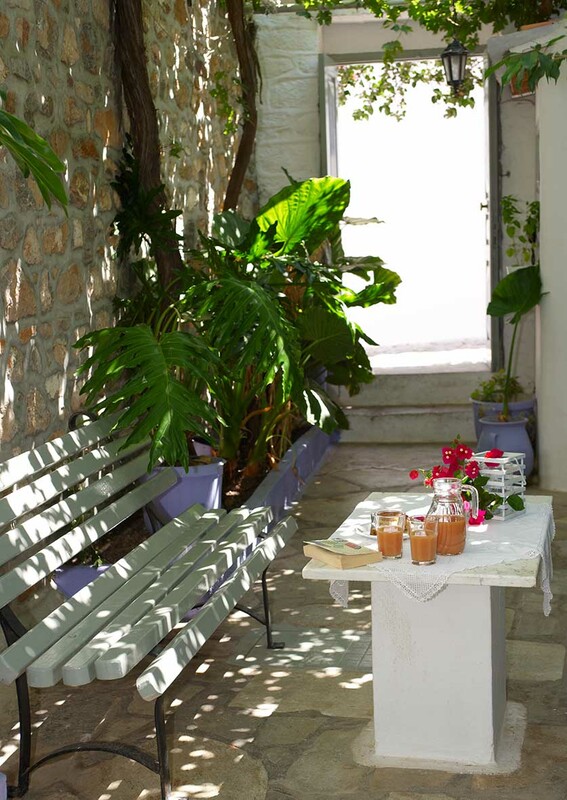 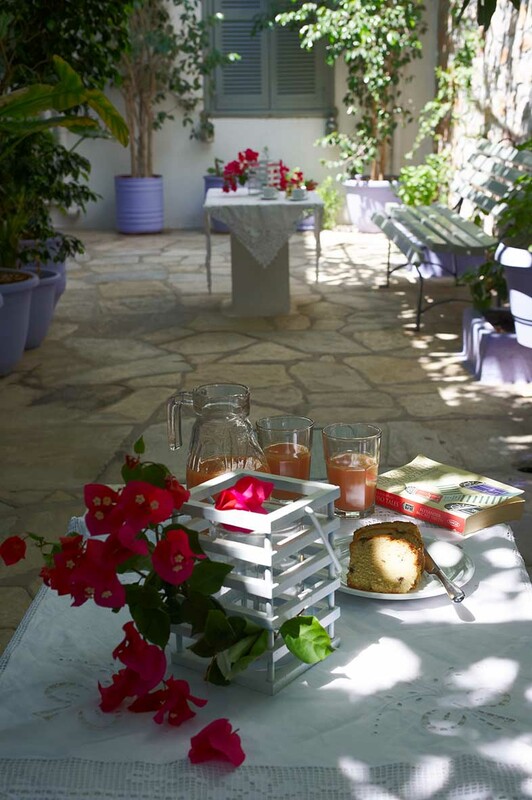 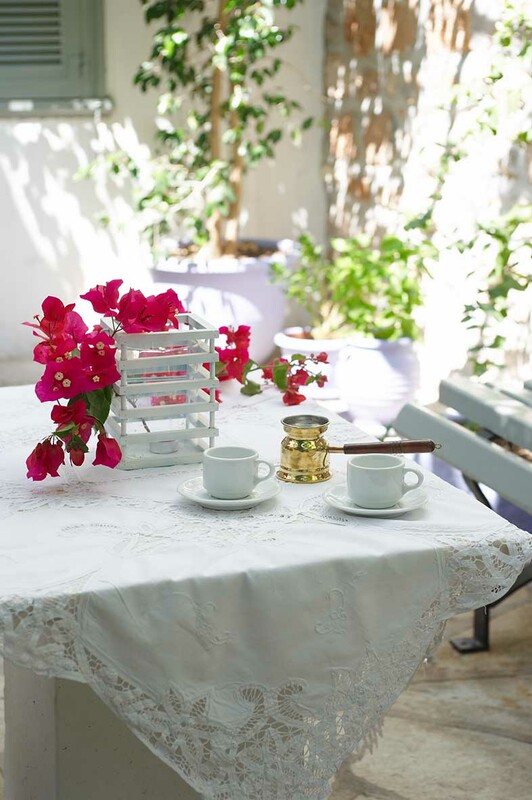 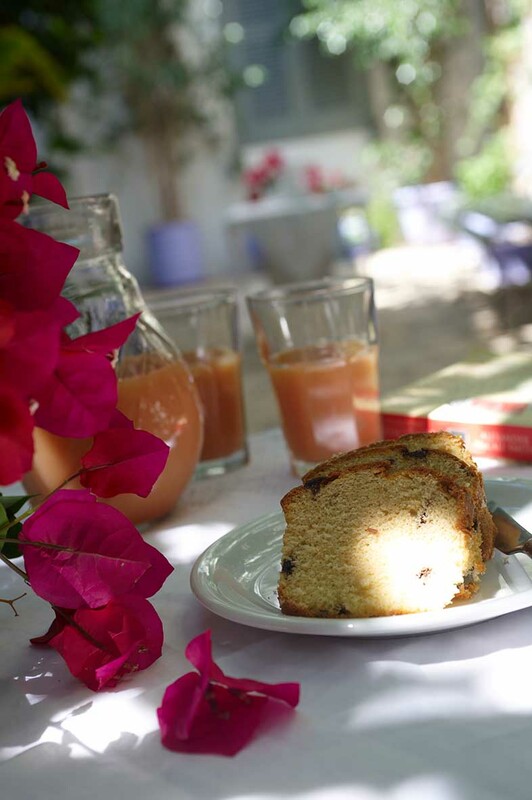 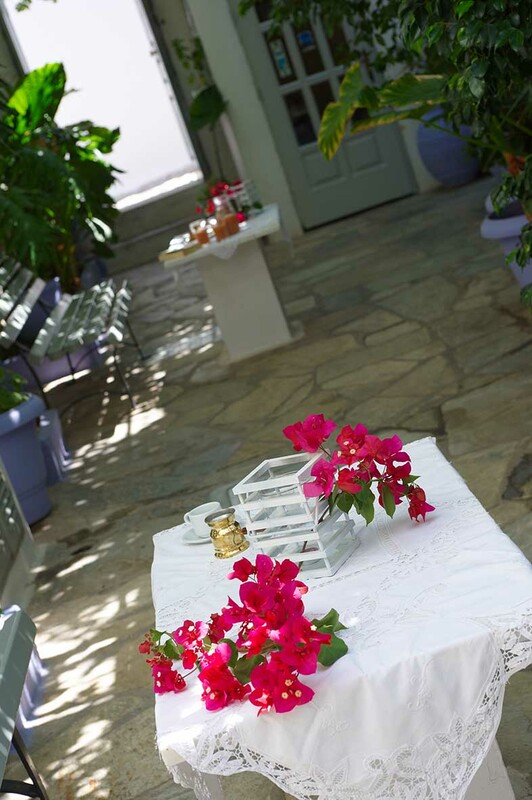 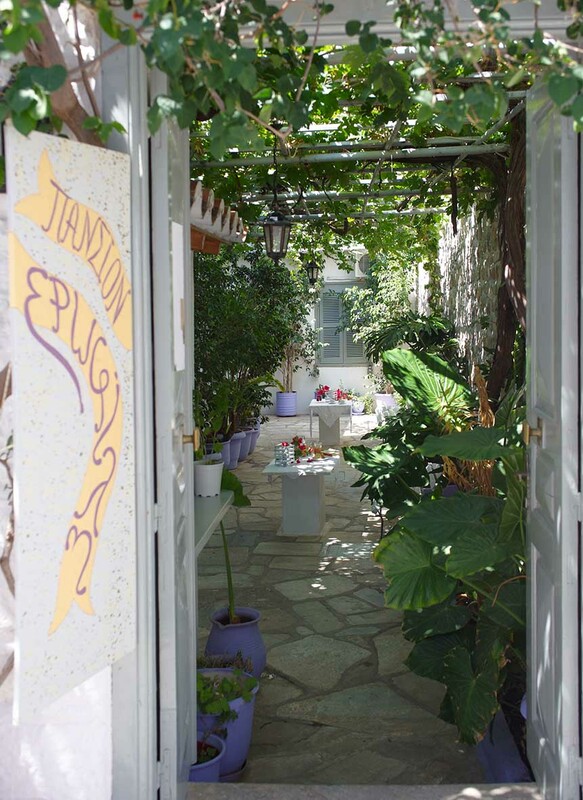 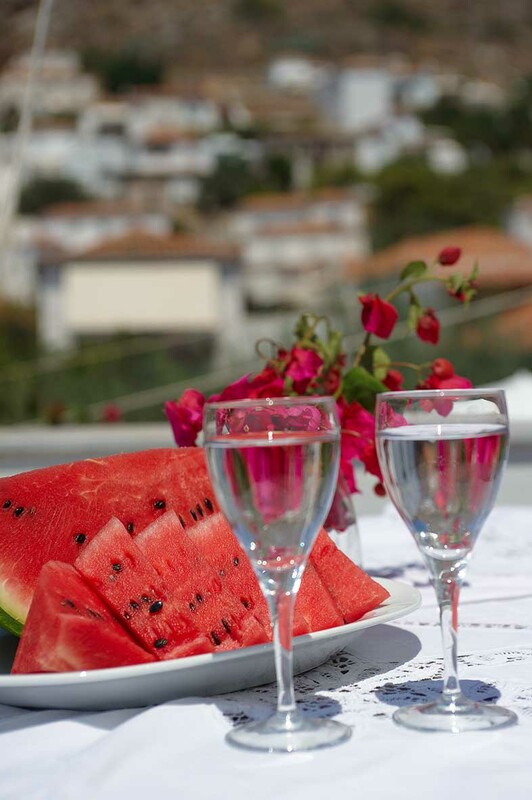 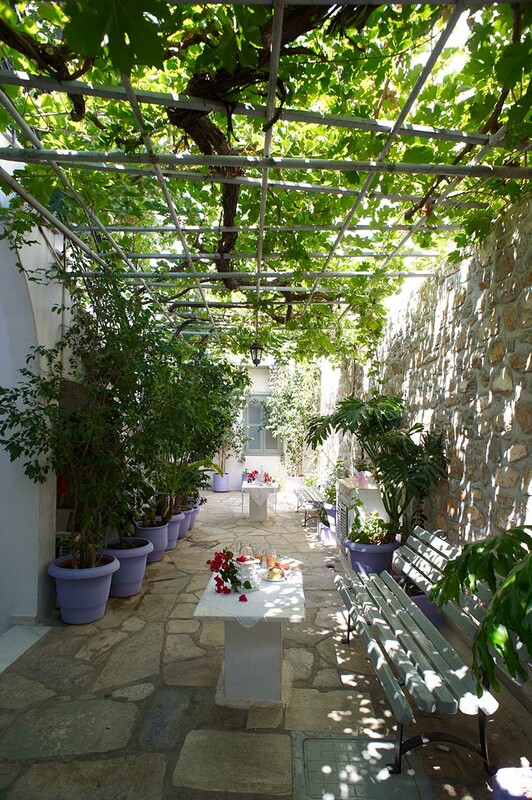 Tucked away in the centre of Hydra, near to some of the island’s most popular tavernas, is the Erofili Pension. 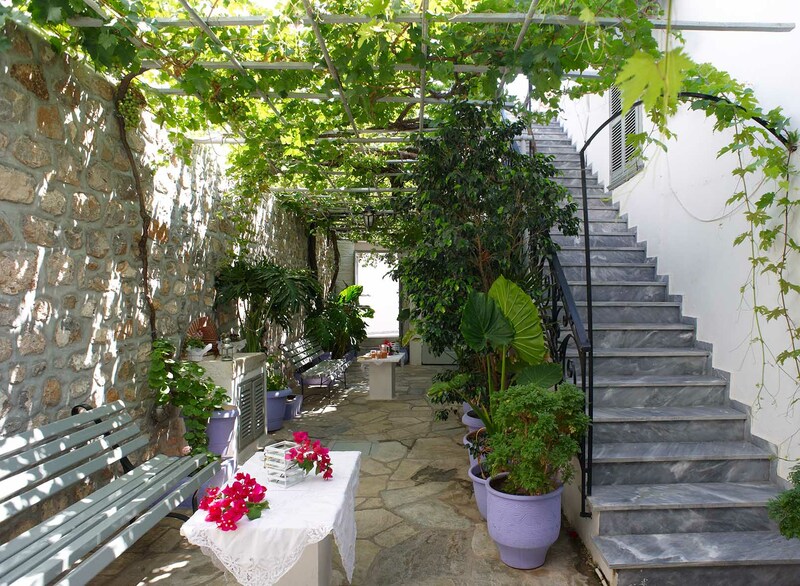 Pleasant Greek island hospitality on one of Greece’s unique islands. 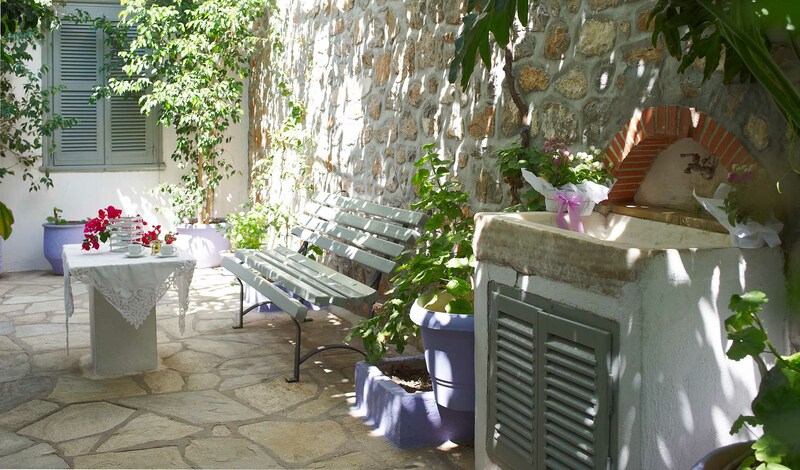 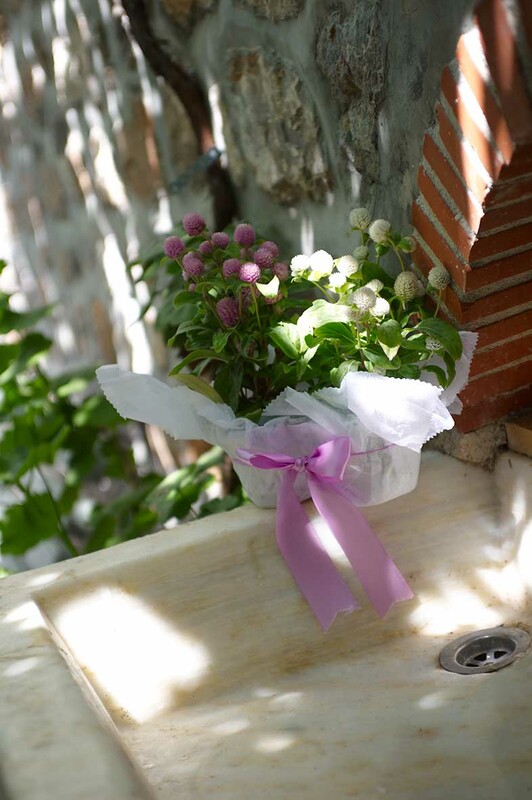 The pension is managed by a charming couple who have a young family. 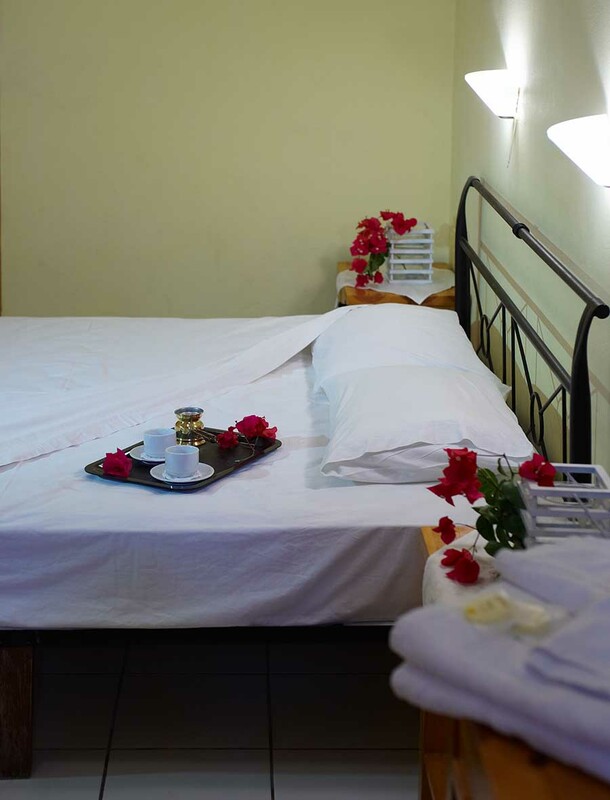 They are very kind and as they understand what it’s like travelling with small children and babies they are particularly welcoming to families. 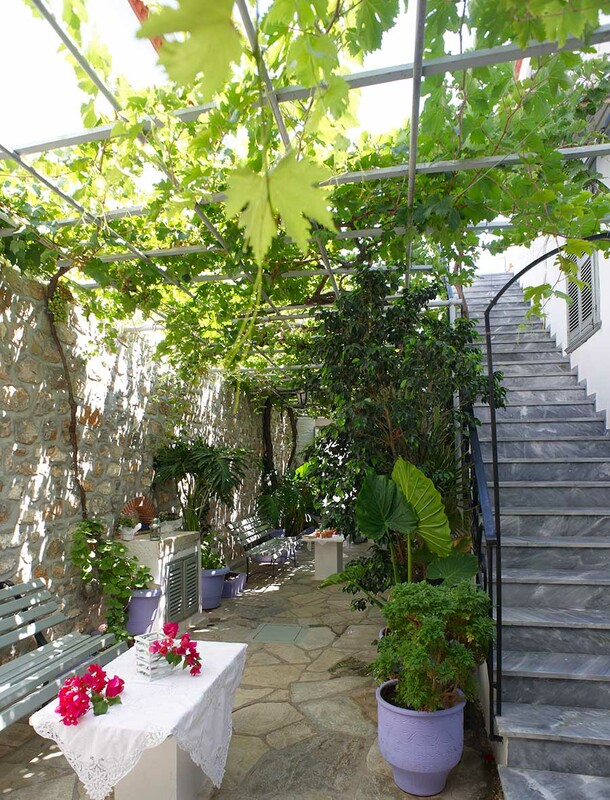 Good sized inner courtyard with lots of vines, tables and chairs. 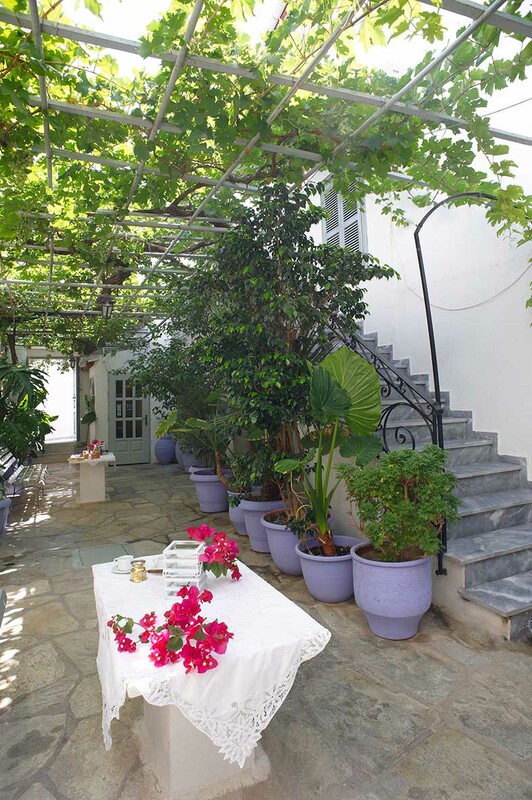 There are 12 bedrooms, 9 double and 2 triple plus a large studio apartment to sleep, three with a private kitchen, bathroom and terrace. 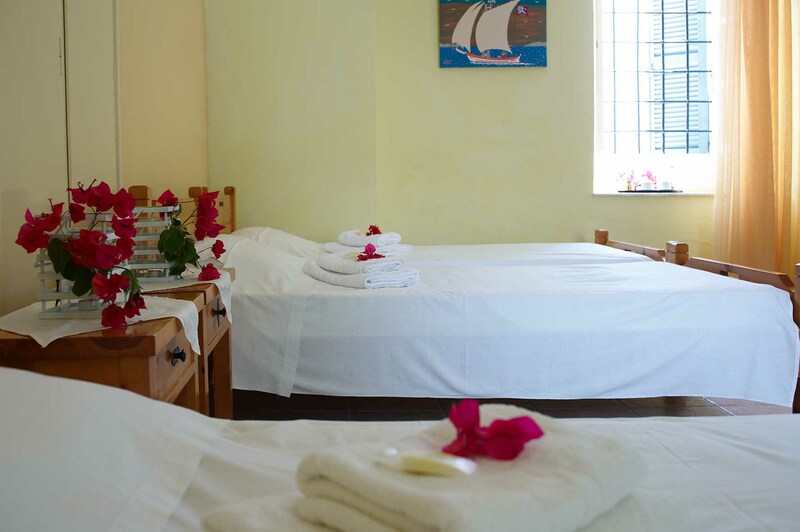 All of the rooms at the Erofili are of a good size so you don’t feel cramped and there’s plenty of drawer and cupboard space to unpack properly. 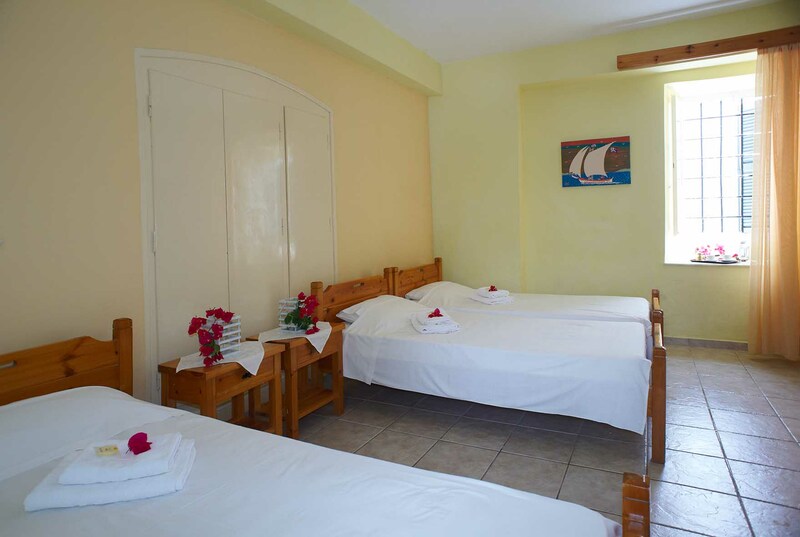 The rooms are all en-suite, with air conditioning, (although most rooms have ceiling fans if you prefer), mini fridge and TV. 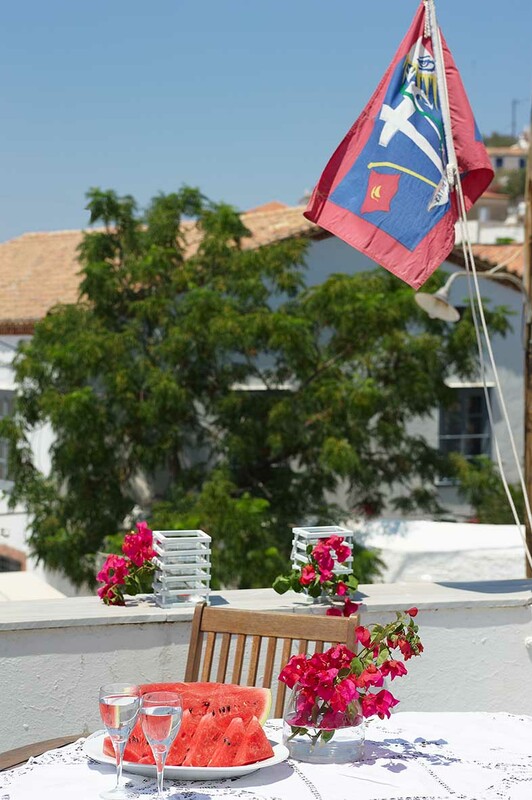 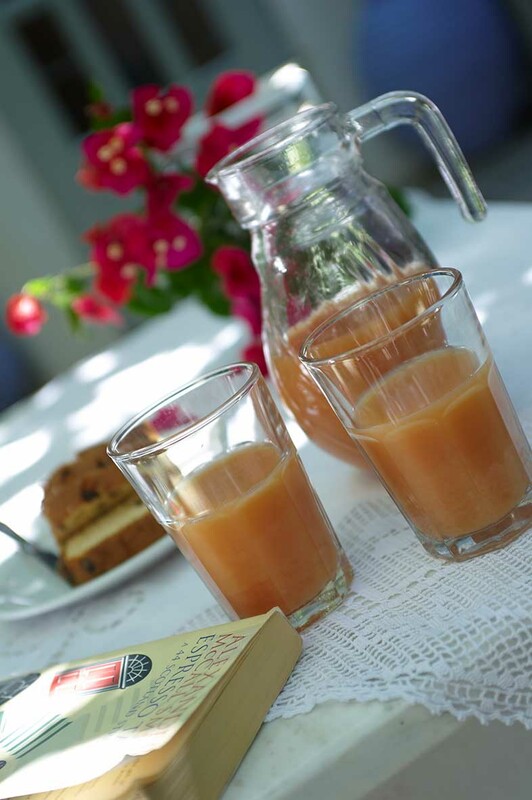 On the top floor of the pension there is a large triple room with a bathroom, kitchenette and large private terrace. 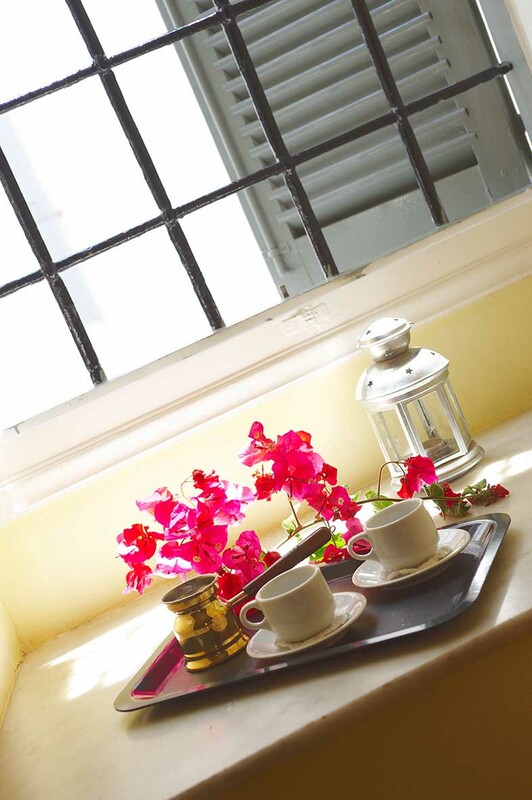 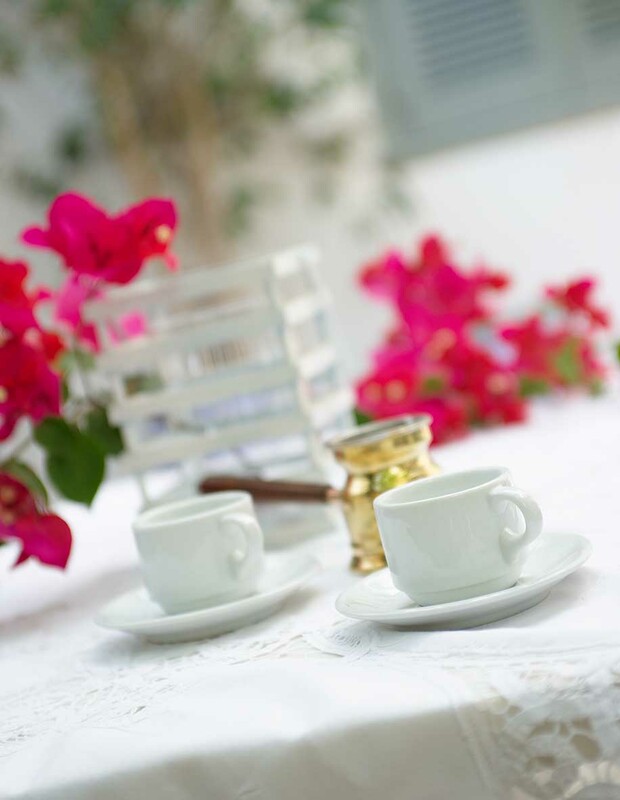 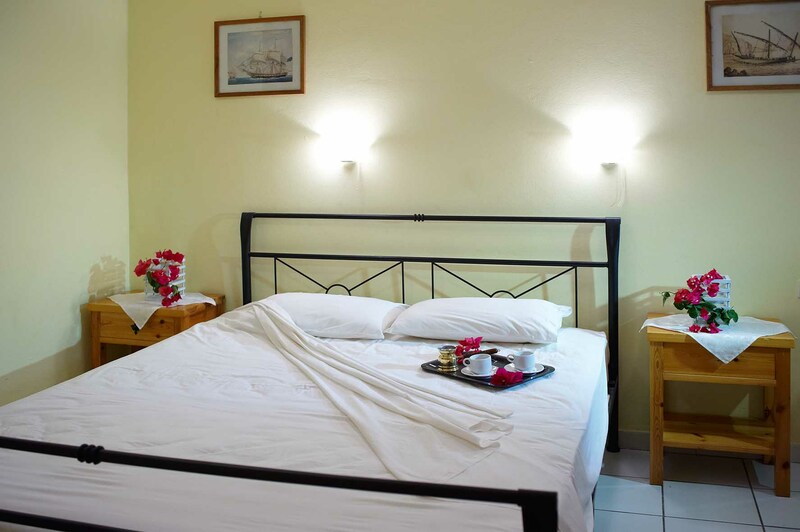 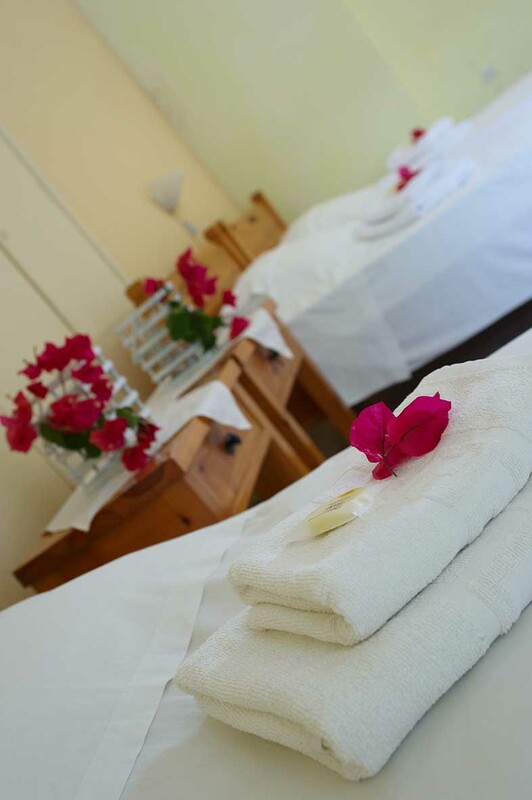 The pension is run to a very exacting standard by Ireni who makes sure that the rooms are spotlessly clean. 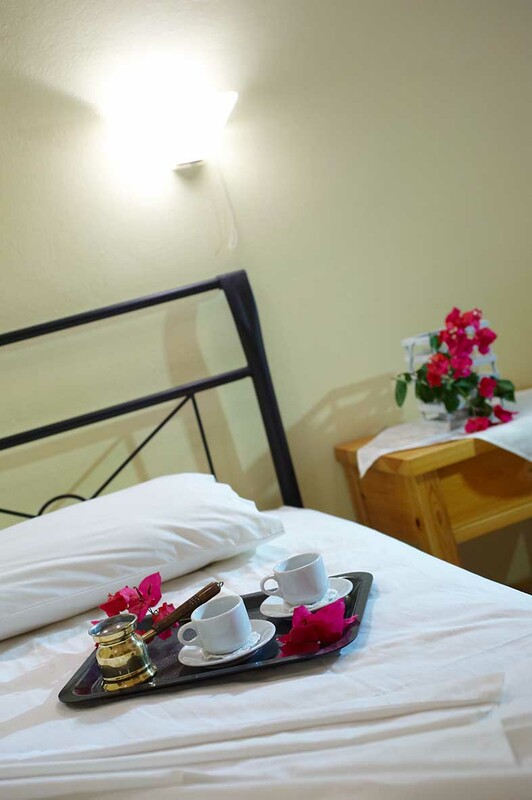 The mattresses are in excellent condition and comfortable; the sheets and towels are always fresh and well laundered.